(b. 1960) – a British writer and translator. 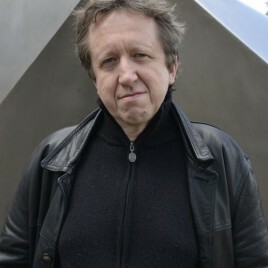 Since 1998 he has been connected with the OuLiPo group. He has translated into English, among others, texts by Georges Perec and Raymond Roussel. The author of Family Archaeology and Other Poems (2004) and Writings for the OuLiPo (2005). Currently he writes mainly in French, although he has recently published a bilingual poetry volume Les feuilles de yucca / Leaves of the Yucca (2015). He lives in Paris.